Decades ago, most people died at home, but medical advances have changed that. Today, most Americans are in hospitals or nursing homes at the end of their lives. Some people enter the hospital to get treated for an illness. Some may already be living in a nursing home. Increasingly, people are choosing hospice care at the end of life. More and more people are in nursing homes at the end of life. In a nursing home, nursing staff is also always present. A nursing home, sometimes called a skilled nursing facility, has advantages and disadvantages for end-of-life care. Unlike a hospital, a doctor is not in the nursing home all the time. But, plans for end-of-life care can be arranged ahead of time, so that when the time comes, care can be provided as needed without first consulting a doctor. If the dying person has lived in the facility for a while, the staff and family have probably already established a relationship. This can make the care feel more personalized than in a hospital. As in a hospital, privacy may be an issue. You can ask if arrangements can be made to give your family more time alone when needed. Home is likely the most familiar setting for someone who needs end-of-life care. Family and friends can come and go freely. Care at home can be a big job for family and friends—physically, emotionally, and financially. But, there are benefits too, and it is often a job they are willing to take on. Hiring a home nurse is an option for people who need additional help. In order to make comfort care available at home you will have to arrange for services (such as visiting nurses) and special equipment (like a hospital bed or bedside commode). Health insurance might only cover these services or equipment if they have been ordered by a doctor. Work with the doctor to decide what is needed to support comfort care at home. If the dying person is returning home from the hospital, sometimes a hospital discharge planner, often a social worker, can help with the planning. Your local Area Agency on Aging might be able to recommend other sources of help. A doctor has to be available to oversee the patient’s care at home—he or she will arrange for new services, adjust treatment, and order medicines as needed. It is important to follow the doctor’s plan in order to make the dying person as comfortable as possible. Talk with the doctor if you think a treatment is no longer helping. Doctors can provide treatment to seriously ill patients in the hopes of a cure for as long as possible. These patients also receive symptom care or palliative care. Recently, the term palliative care has come to mean more than just treating symptoms. In the United States, palliative care now often refers to a comprehensive approach to improving the quality of life for people who are living with potentially fatal diseases. It provides support for family members, very similar to the more familiar concept of hospice care. In a palliative care program, a multidisciplinary health care team works with both the patient and family to provide any support—medical, social, and emotional—needed to live with a possibly fatal illness. The health care team may be made up of doctors, nurses, therapists, counselors, social workers, and others as needed. Palliative care can be provided in hospitals, nursing homes, outpatient palliative care clinics, certain other specialized clinics, or at home. Medicare covers some of the treatments and medicine. Veterans may be eligible for palliative care through the Department of Veterans Affairs. Private health insurance might pay for some services. Health insurance providers can answer questions about what they will cover. Palliative care is not just for people who might die soon. It is a resource for anyone with a long-term disease that will, in time, probably cause their death. These include heart failure, chronic obstructive pulmonary disease, or Parkinson’s disease. The organized services available through palliative care could also be helpful to any older person having a lot of general discomfort and disability very late in life. In palliative care, you aren’t asked to make a choice between treatment that might cure a terminal disease and comfort care. In time, if the doctor believes the patient is not responding to treatment and is likely to die within 6 months, there are two possibilities. Palliative care could transition to hospice care. Or, the palliative care could continue, with increasing emphasis on comfort care and less focus on medical treatment aimed at a cure. At some point, curative medical treatment may no longer make sense—it might not help or may actually make the patient more uncomfortable. Hospice is designed for this situation. The patient beginning hospice care understands that his or her illness is not responding to medical attempts to cure it or to slow the disease’s progress. The hospice approach to end-of-life care is similar to palliative care, in that it provides comprehensive comfort care to the dying person as well as support to his or her family, but, in hospice, attempts to cure the person’s illness are stopped. Hospice is an approach to care, and so it is not tied to a specific place. It can be offered in two types of settings—at home or in a facility such as a nursing home, hospital, or even in a separate hospice center. 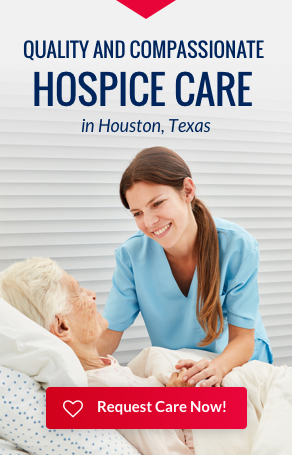 Hospice care brings together a team of people with special skills—among them nurses, doctors, social workers, spiritual advisors, and trained volunteers. Everyone works together with the person who is dying, the caregiver, and/or the family to provide the medical, emotional, and spiritual support needed. A member of the hospice team visits regularly and is always available by phone—24 hours a day, 7 days a week. It is important to remember that stopping treatment specifically aimed at curing an illness does not mean discontinuing all treatment. A good example is an older person with cancer. If the doctor determines that the cancer is not responding to chemotherapy and the patient chooses to enter into hospice care, then the chemotherapy will stop, but other medical care may continue. For example, if the person has high blood pressure, he or she will still get medicine for that.